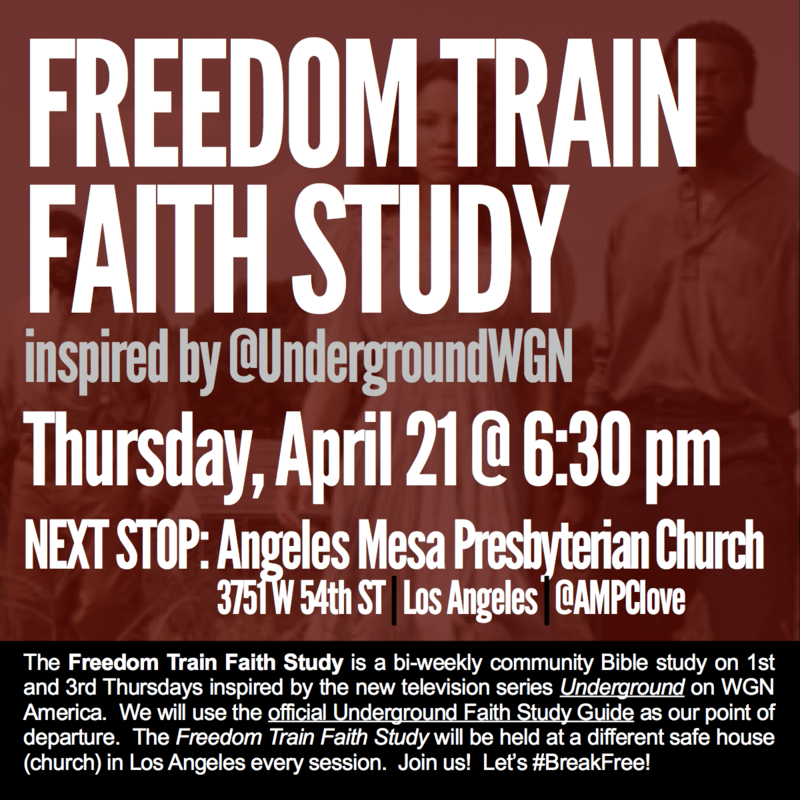 The Freedom Train Faith Study is a bi-weekly community Bible study starting March 31, 2016. The study is based on themes from the new television show Underground on WGN America and will use the official Underground Faith Study Guide as our point of departure! The Freedom Train Faith Study will be held at a different safe house (church) every session! Go online to REBIRTHlive.net/BreakFree for more info. People get ready! Let’s break free! Download and read the Underground Faith Study Guide online here. The study for the next session will be posted at www.REBIRTHlive.net/blog.